The stock iOS Camera app doesn’t let you pause or resume video recording, which can come in handy at times. Thankfully, there’s a new jailbreak tweak called RecordPause that brings Pause and Resume feature in video recording to the stock iOS Camera app. 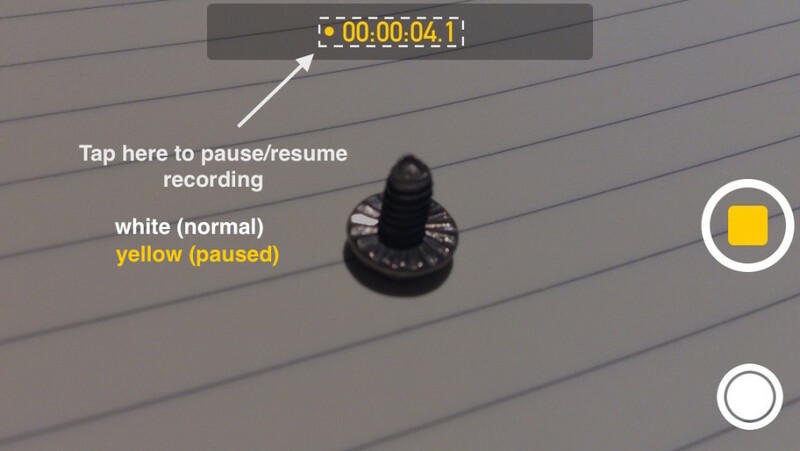 With RecordPause, you can pause video recording at any time and resume at your wish. Install the tweak, respring and you’re all set. The tweak is very simple to use. All you have to do, is tap at the timer shown during the video recording to pause or resume. When you pause, the red recording button and the timer turn yellow, when resumed, it goes back to being red. The tweak has a few configurable options in the Settings app. You can enable/disable the tweak and you can dim the the viewfinder when paused. You can also chose to have your viewfinder freeze or show live preview when recording is paused. Other options include the ability to toggle the yellow UI and a larger tappable area if the timer is too small for your fingers. All in all, a very useful tweak. If you like making Vine videos, you’re going to love this tweak. The developer does mention that when recording at 60 fps, your screen might stutter when recording is resumed. 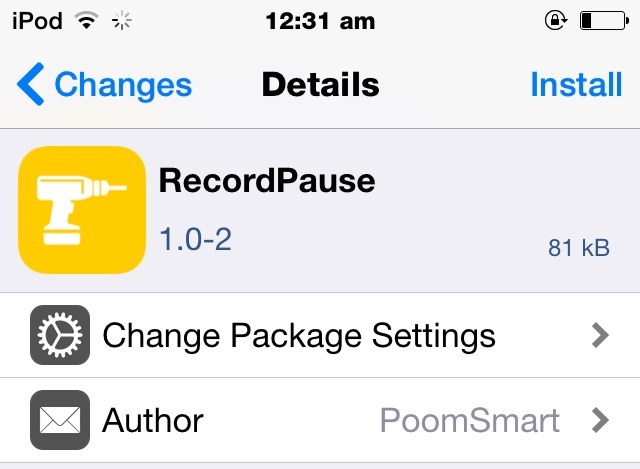 You can download RecordPause for free from the BigBoss repo. The tweak only supports iOS 8 or later. Try it out and let us know what you think of it. Introducing The Official iJailbreak Repository!